Have you ever heard someone predict a snowstorm based off their joint pain? Well, it’s not just a bunch of nonsense. Cold weather can have a real negative impact on the joints and can make pain more intense. As the air gets colder, the barometric pressure and temperature outside inhibits the movement of the fluid in our joints. This fluid normally acts as a lubricant to help joint function, so when the temperature causes joints to become stiff, it leads to pain. Chiropractic care is a great way to keep your joints moving as they should. it also restores your range of motion, which will help reduce pain. Our team at Preferred Chiropractic uses gentle and effective adjustments to help your joints and fluid do their job. Are You Walking In A Winter Wonderland? As the temperatures drop, so does the activity level of many of our patients. It is challenging to motivate yourself to leave the house when it’s freezing outside, let alone go to the gym. But this lack of movement and activity impacts your health, and can cause increased weight and added stress on your joints. If you maintain your regular chiropractic care routine, it will give you an extra excuse to leave the house and keep your body performing as it should, therefore preventing more injuries and health conditions that could set you back even further. Rather than making a drastic New Year’s resolution you know you won’t keep, make a commitment to simply move more. That could mean walking in place during commercial breaks or doing calf raises in the kitchen. Every little bit counts toward your 20-30 minutes of moderate daily activity. While maintaining your regular chiropractic care is important, there are also some steps you can take to keep your body functioning optimally. Wear the right clothes - Keep your body and joints warm this winter and protect them from the cold. You also want to be sure you are wearing proper footwear to reduce the risk of a slip and fall in icy conditions. Get active - Make a point to take part in some form of physical activity, no matter how cold it is outside. You can always keep your workout indoors! Eat healthy- A properly balanced diet full of fruits, vegetables, whole grains, and lean protein can help you reach and maintain a healthy weight. This reduces stress on the joints and provides your body what what it needs to work as it should. 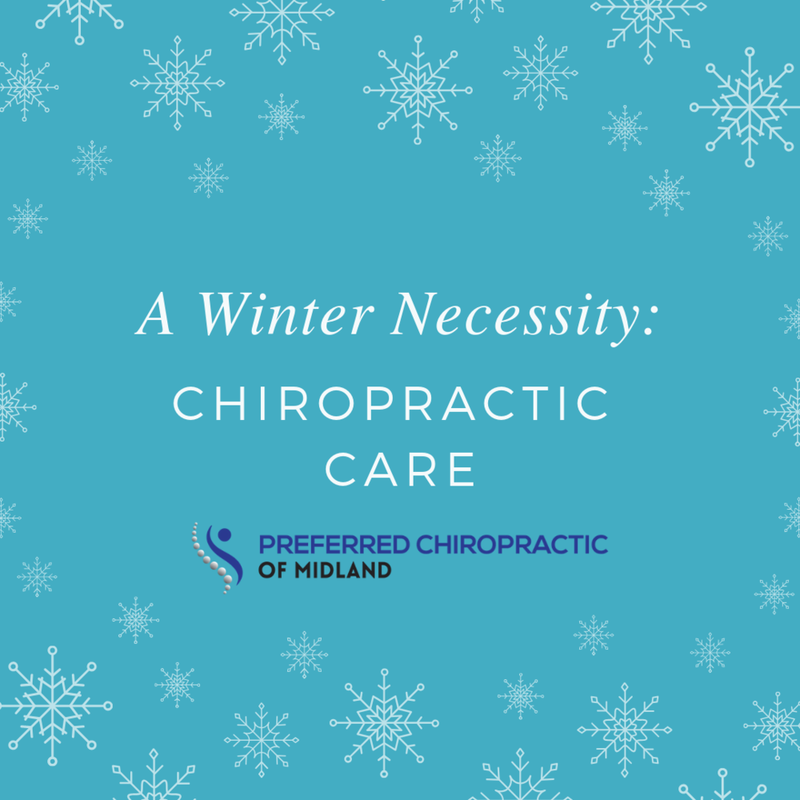 You wouldn’t leave the house without your coat, so don’t face the coldest days of winter without chiropractic. Contact us today to schedule your next adjustment! Newer PostHave Your Best Year Yet!